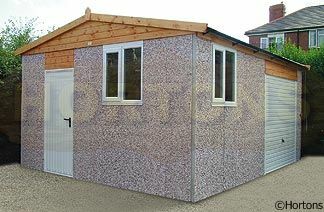 A selection of smaller buildings suitable for your garden are available. These buildings are particularly suitable for locking up valuable garden equipment, toys or even running your own little cottage industry. Our range of buildings is almost endless with both Pent and Apex roof types being available, with any number of door and window combinations to choose from. As with all Lidget products these durable garden buildings are built without compromise to the highest standards, ensuring years of valuable service.